Post contains affiliate links which will earn a commission if a sale is generated through them. The Artistry Palette from Bad Habit is actually my 5th Shop Hush palette but the first one I've gotten a chance to swatch and use. 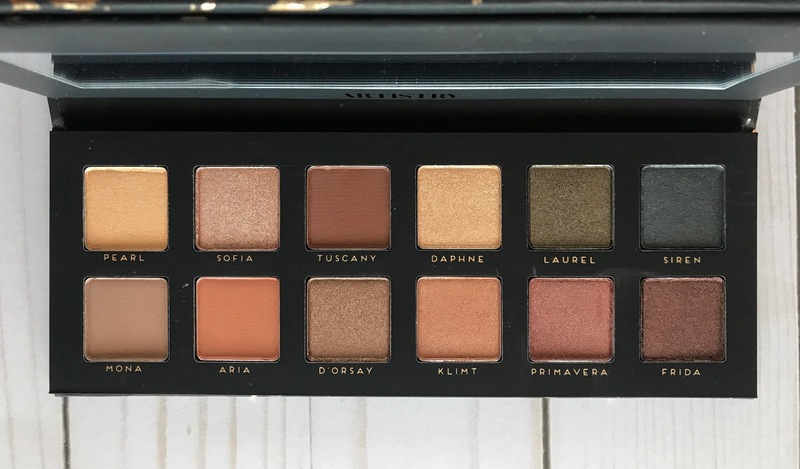 In case you don't already know, the Artistry Palette is a dupe of the Anastasia Beverly Hills Master Palette by Mario, a very coveted and no longer available palette. The Master Palette by Mario was one of the most popular palettes of 2017 and since ABH sticks to their limited edition claim, you can only find it on resale sights for a very pretty penny. I've actually seen it priced over $110 on EBAY, which is insane. I could not skip the chance to get the Artistry Palette since my Master Palette is still new. I've always loved the color range but something in me hasn't wanted to touch it yet. 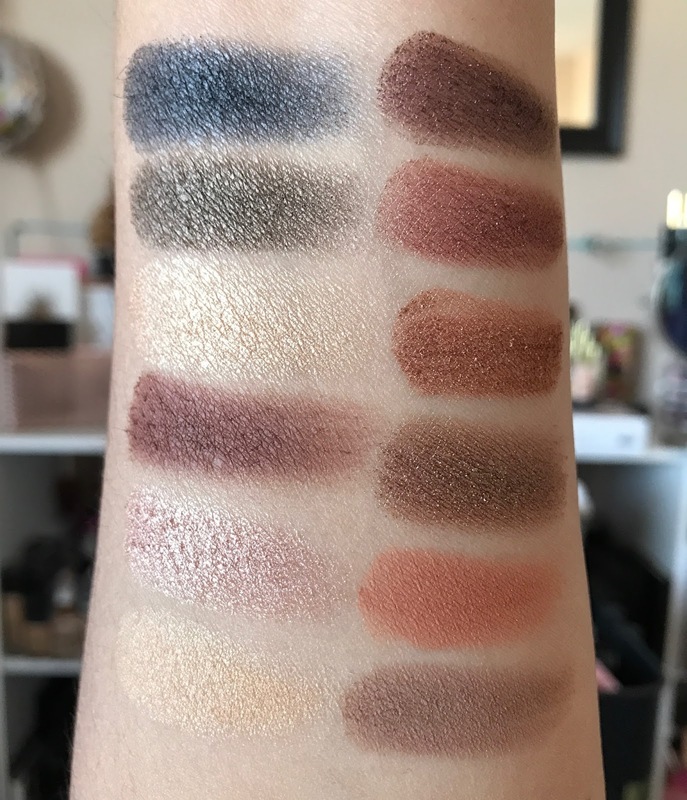 I saw this as the perfect way to get the beautiful color scheme without ruining my new palette, plus I really wanted to review it for you all since I keep getting questions about Shop Hush dupes in general. Before I get into the palate let's talk about Shop Hush and the Shop Hush App, where the release the new launches. I've been asked a few times if I like buying from them and after placing 5 orders I can tell you that shopping with them has been a great experience for me. Shipping from Shop Hush is always FREE, which is one of my favorites things but not just that, they ship pretty quickly too. If you have the app you get a message with each move your order makes up until it is delivered so you don't ever have to wonder where you order is. I live in Cali so I usually get packages the day after they ship which is really cool. Also let me not forget to mention how well they package each and every product. Each pink box is packed with tons of bubble wrap and on top of that each palette is also wrapped in a bubble sleeve, adding extra protection. From my 5 orders I have received one broken palette which was replaced as soon as customer service got back to me. You can say that I'm a definite fan of the entire Shop Hush shopping experience. But honestly I wasn't sure what to expect from the Bad Habit palettes I have been purchasing. I won't lie and say that I haven't been conflicted about buying flat-out copies of other palettes. But I feel comfortable because I have purchased all of the original palettes to which I have bought dupes from, even though I ended up returning two of them, so I don't feel like the original brand lost any money from my sales. Plus the other side of the coin is that I too want to know the quality of these palettes for such a low price. I have a lot of followers and readers who can not afford a $65, $129 or even a $44 palette and Bad Habit is giving them the opportunity to get the same look for less. If these palettes are good, I want to be able to recommend them to those of you that need a less expensive version and I could not in good faith recommend them without trying them first. The Bad Habit Artistry Palette is so beautiful, seriously these photos do it no justice. I took them on a cloudy day and could not capture just how pretty each shade is in person. The overall esthetic of the palette is really nice - the box and palette are a soft matte cardboard with gold lettering, a great mirror and a very solid overall feeling. When holding this palette in your hand, it's hard to believe that it costs only $12. Hats off to Bad Habit for not giving their customers crappy packaging just because their palettes are so affordable. This color scheme has to be one of my favorites of all-time. I am an earthy toned lover, as well as a cool-toned shadow person and these shades just speak to me. This color scheme is everyday friendly and perfect for me since I love a good shimmer shadow like nothing else. I have dry lids which means that I always try to put a shimmer shade on my lid and I love how incredibly creamy and butter these shadows are. I think the swatches do manage to convey how beautiful each shade is and trust me when I say that in person they are every prettier. From a few videos I have seen about Bad Habit palettes, it seems that their shimmer/metallic shades are the ones that people really love. I can see why. The shimmer shades in this palette are simply beautiful, some being even more reflective and smooth than others. There was not a single bad shimmer shade in this palette for me. After using the palette several times I think the matte shades are just as good. 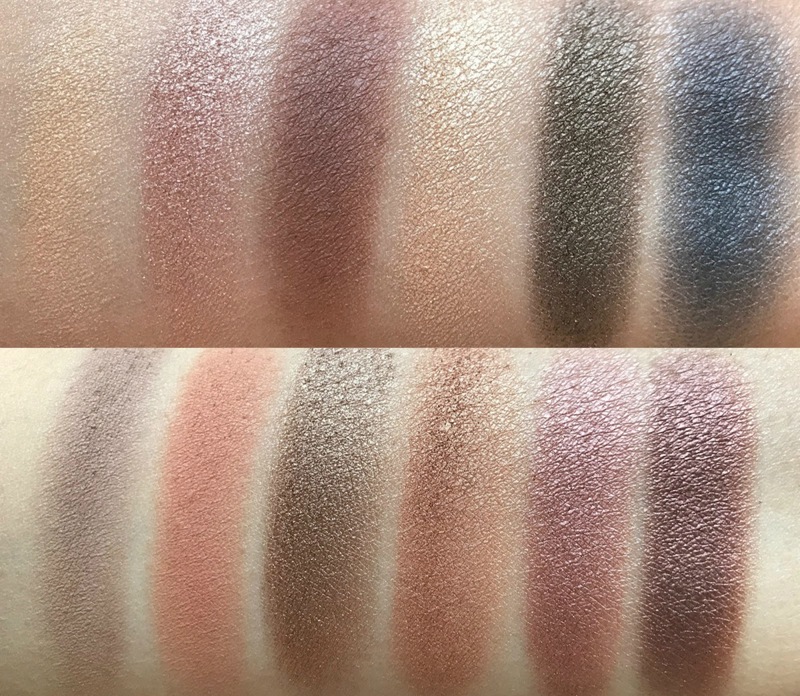 I had zero problems working with the mattes and made sure to use all three in the crease and really see if they got patchy or were hard to blend, but they worked perfectly for me. I did get a little bit of fall out from the shimmer shades but nothing too bad and it cleaned up easy enough. I really do love these shimmers and have actually tried them wet ( I rarely take this step but wanted to test the theory), which only makes them even better. I have been enjoying putting together color combinations with this palette and so far I have loved each one. I think that's why I love this palette so much, it's easy to use and I don't feel overwhelmed by it, all the shades work beautifully and I have had so much fun putting eye looks together. With as many palettes as I have in my collection it's hard to believe that a $12 dupe palette would become a favorite. But it's a combination of one of the most perfect color combos (thank you, Master Palette by Mario) and what are some really good quality shadows. The latter was quite an unexpected surprise. If you missed out on the Master Palette or if you have it and are running low or scared to hit pan on your favorite shades, I think the Bad Habit Artistry Palette is such a good way to go. Or maybe you've never even heard of the Master Palette but are looking for a beautiful everyday palette - that includes a lot of shimmer, then this is a wonderful palette. I give it two thumbs up and can't wait to use mine even more! Purchase the Bad Habit Artistry Palette at Shop Hush for $12. For reference here is the ABH Master Palette next to the Bad Habit Artistry Palette, as you can see they are spot on. I might get around to comparing them in a post soon and seeing if they are actually dupes.